About Us | Amark Steel Rule Die Inc.
Amark Steel Rule Die was established in January, 2000. It is a family owned business in Slinger, Wisconsin. Mark was in the steel rule diemaking industry for 12 years in the sales/customer service/technical support role for several different manufacturers. Every time he would quote a die he would sign it “Thanks, Mark”. Because Mark believes in building solid, ongoing relationships with customers, he had many loyal customers that would purchase a “Mark” die. Beginning “Amark Die” was a natural progression. 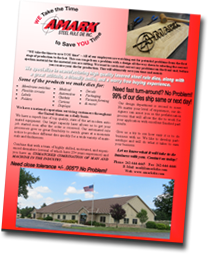 The mission of Amark Steel Rule Die, Inc. is to manufacture precise quality steel rule dies with the newest technology, provide excellent, FRIENDLY service, and deliver fast turnaround. All of this on a CONSISTENT basis. 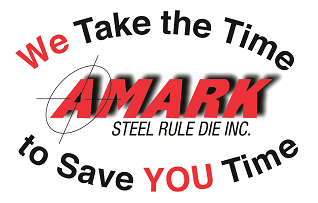 ©2019 Amark Steel Rule Die, Inc.